﻿From the San Leandro jail, Korematsu was transferred to San Francisco. There he had an unexpected visit from American Civil Liberties Union (ACLU) lawyer Ernest Besig. believed that their compliance would show that they were loyal American citizens. "Besig met with the Japanese American Citizens League (JACL) to try to persuade them to oppose the exclusion and internment of Japanese Americans. But the JACL was not interested in discussing the issue. They believed that full cooperation with the internment would provide their loyalty to the US government and its people, and promoted this belief to the Japanese American community," said Karen Kenney, author of Korematsu v. United States. While awaiting his trial, Korematsu was sent to the Tanforan Assembly Center. 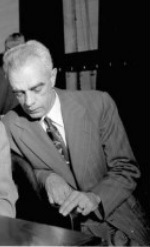 As the case opened, Alfonso Zirpoli, the attorney representing the US government called FBI agent Mansfield who questioned Korematsu. Zirpoli used Korematsu's forged identification card and birth certificate as exhibits. Defense lawyer Wayne Collins tried to raise the issue of constitutionality of the case, but was denied. Korematsu took the stand. He stated "As a citizen of the United States, I am ready, willing, and able to bear arms for this country." Judge St. Sure found Korematsu guilty and imposed a $2,500 bail and five years of probation. He was taken back to Tanforan Assembly Center. Although no formal sentence was given to Korematsu, his case was still presented to the United States Court of Appeals for the Ninth Circuit in 1943 (Reference Glossary). A certified question (Reference Glossary) was sent to the United States Supreme Court. 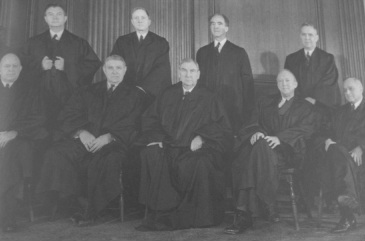 They heard Korematsu's case and unanimously decided that a prohibition sentence was appealable. In January 1944, General DeWitt, who recommended Executive Order 9066, issued Final Report to justify Japanese internment. It "not only justified the original ouster of the Japanese population, but showed why they should not be permitted to return, at least while the war lasts" according to the Los Angeles Times. 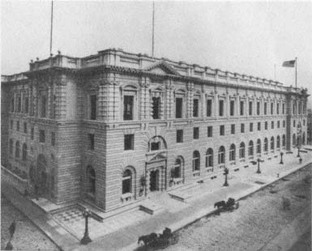 At the Supreme Court, defense lawyers Wayne Collins and Charles Horsky worked to prove that DeWitt's report on internment was not based on factual evidence. The Justice Department also stated that DeWitt issued this report with "tendencies and probabilities as evidence by attitudes, opinions and slight experience, rather than a conclusion based on attainable facts." Korematsu's legal team also argued that regardless of one's loyalty or actions, Executive Order 9066 sentenced a detention. It is the duty of the government attorneys to be honest with the Court so that the Court can make a well-informed decision. In the Korematsu case, the government withheld information.